When you visit our office,your healthy smile is our top priority. Our entire team is dedicated to providing you with the personalized, gentle care that you deserve. Part of our commitment to serving our patients involves providing information that helps them to make more informed decisions about their oral health needs. We are proud to announce that as of June 2014 our x rays are completely digital! New Patients always welcome ! 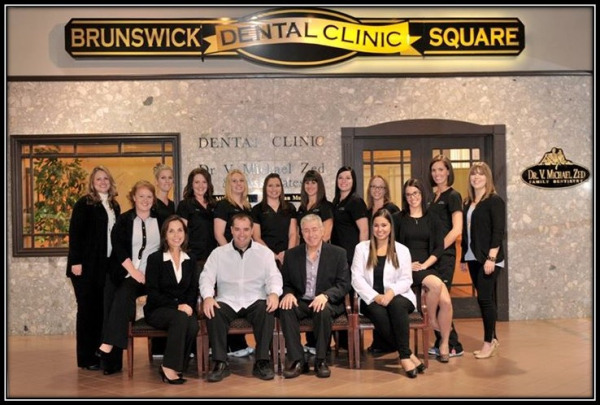 Dr.'s Zed & Mullet of Brunswick Square Dental Clinic offer family, cosmetic, and general dentistry located in city centre. The office serves patients throughout Saint John and the New Brunswick Province including neighboring cities such as Rothesay and Hampton.